Traditional craftsmanship inspired the Designers at COORDINATION to create the “Lean Tables”. A wedge connects the leg and the hexagonal board, all made of local oak, into one structural element. 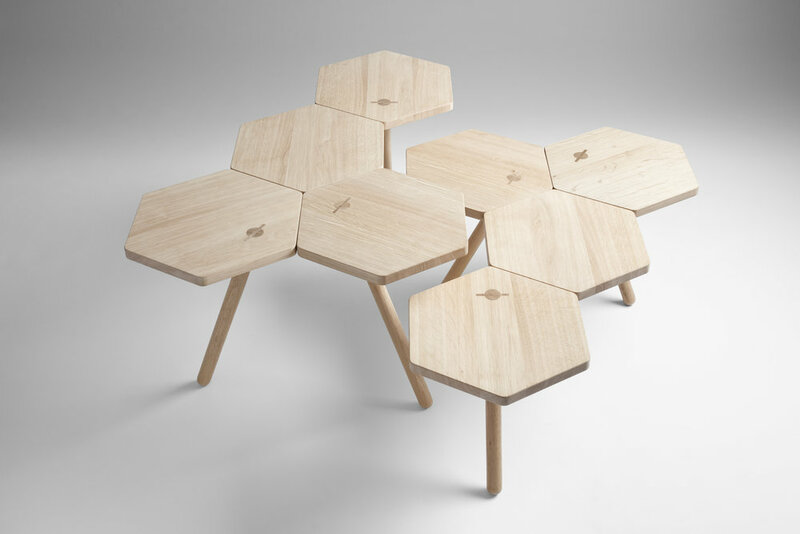 Four hexagonal units join together to become a table. For structural reasons the legs are slanted and as a result the single pieces seem to be leaning against each other. The shape is contemporary yet individual and the natural choice of material easily complements many interior styles. The table is available in two different sizes to allow playful combinations.